Oh hey look, I finally put inks to a picture I liked from like... 2006! I was always very fond of a couple of the "Sonic Ultimates" pictures, and they've been in my inking pile for a full six years, no lie. 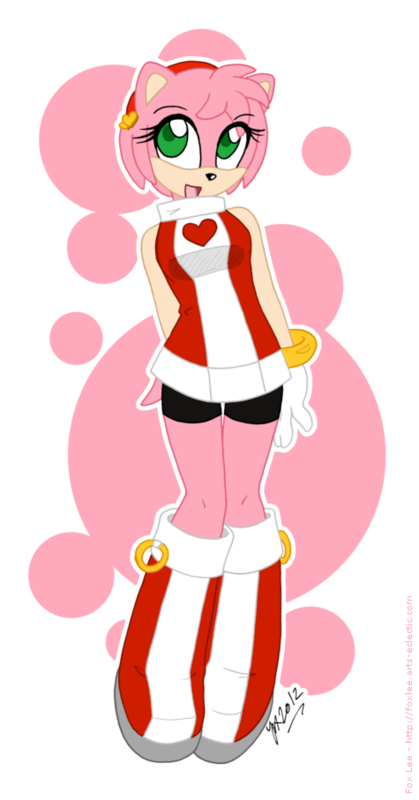 In my opinion Amy was always the best - she just came out great :D I love it when flat colours and a minimalist background work so damn well.